ASP.NET Zero solution uses NPM package manager to obtain front end library dependencies (like Bootstrap and jQuery). So, you can easily add new packages or update existing packages on command line interface. 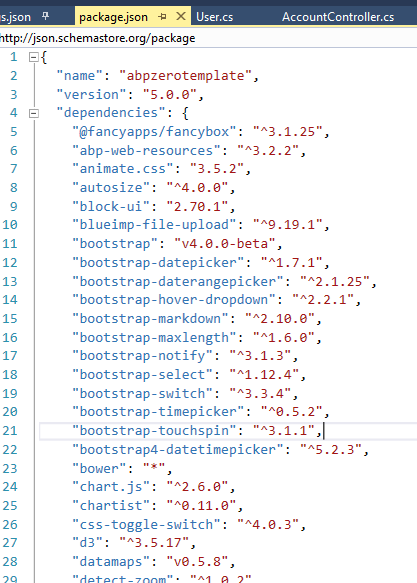 You can see all installed NPM packages in package.json of the *.Web.Mvc project.